People around the US tend to celebrate St. Patrick’s Day in a fairly uniform manner: wearing green, attending parades, pretending Guinness has always been their favorite drink, and using their six percent Irish heritage as an excuse to eat a massive dinner of corned beef, cabbage, and soda bread. Some towns, however, celebrate more unconventionally. For these places, the holiday isn’t just an excuse to drink on a weekday — it’s a genuine celebration of the area’s Irish heritage. In trying to carve out a unique way to mark the holiday, these places have created some truly quirky rituals. 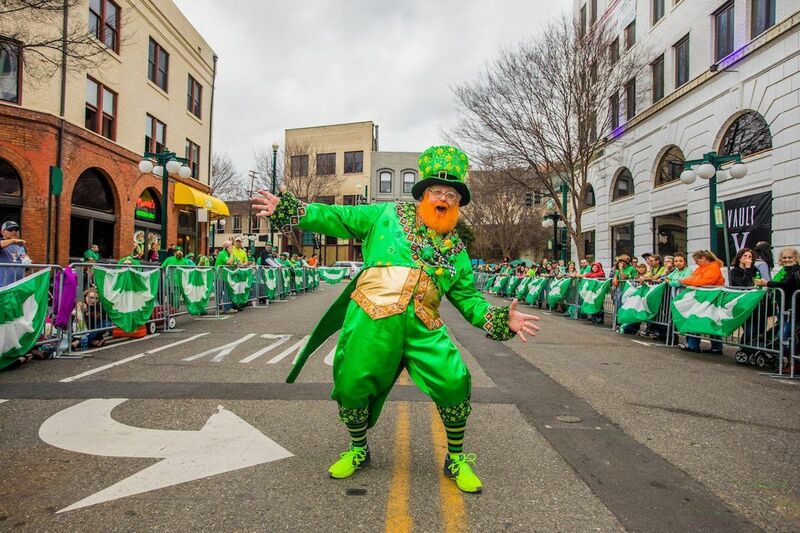 From dying a river green in Chicago to taking a 5:30 AM plunge into the freezing cold ocean in Portland, Maine, these are some of the craziest St. Patrick’s Day traditions around the country. 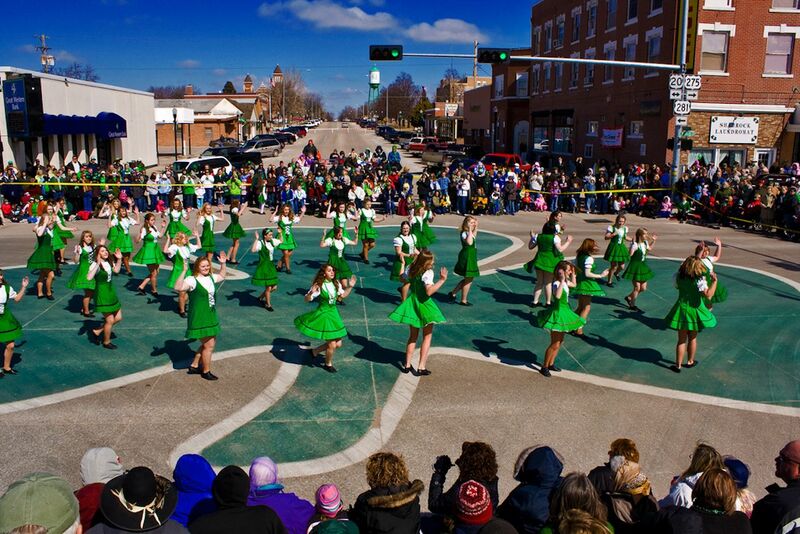 If you blink, you might miss this small town’s St. Patrick’s Day celebration. Hot Springs, Arkansas might not be known for much, but it’s home to Bridge Street — named “The Shortest Street in Everyday Use in the World” in the 1940s by Ripley’s Believe It or Not because it’s only 98 feet long. It certainly doesn’t let that designation go to waste, as each year the town proudly hosts the “World’s Shortest St. Patrick’s Day Parade” down Bridge Street, lasting about an hour, which this year features a Blarney Stone Kissing Contest and performances by the Dallas Cowboys cheerleaders, Smash Mouth, and Three Dog Night. Check out the official parade schedule for a full list of events. The city is also hosting a St. Patrick’s Day Zero K race on March 15, which one of the founders claims is for “athletes who do not like to get up early or break a sweat.” Indeed, it starts at 6:00 PM and is only 299 feet long. An outside observer might say that New London, Wisconsin sounds more English than Irish. 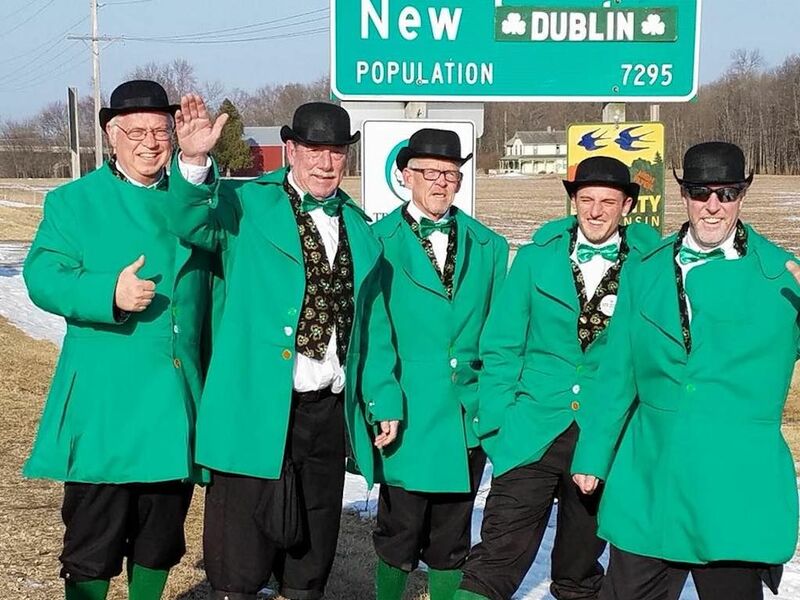 It would be a fair assumption, too, since for decades, members of the town’s Shamrock Club have been replacing the New London highway signs to read “New Dublin” around St. Patrick’s Day. The Shamrock Club is composed of residents dressed as leprechauns, who change the signs sneakily as part of a yearly tradition. The reason behind this strange custom seems to lie in an influx of Irish immigrants who came to New London in the 19th century, altering its previously German roots, and seeking to give the town more Irish character. In addition to the highway sign mischief, the town also hosts an “Irish Fest,” where a variety of Celtic bands perform for guests in a heated tent. At first glance it might look like pollution, but it’s actually quite the opposite. 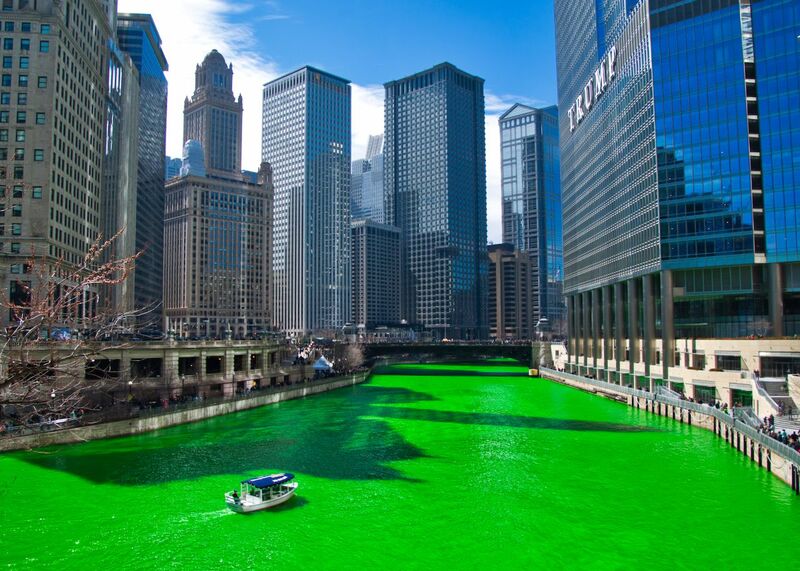 The tradition began in 1962, when Chicago plumbers poured over 100 pounds of fluorescein into the river in an effort to track the illegal dumping of waste in the waterway. Although the practice has now become a time-honored St. Patrick’s Day tradition, the dyeing is still sponsored by the local plumbers’ union, using an eco-friendly (we hope), vegetable-based dye. Thousands gather on the city’s bridges every year, on the Saturday before St. Patrick’s Day, to witness the Chicago River turn green. It takes about 45 minutes for the green dye to take effect, though the lovely shade of shamrock can last for a few days. This year’s dyeing will take place on Saturday, March 16. In case anyone forgets that O’Neill is the official Irish capital of Nebraska, the permanent giant shamrock painted in the middle of the road serves as a reminder. At the intersection of Route 281 and Highway 20, the massive clover — allegedly the largest shamrock in the world — is a glaring reminder of a 4,000-person town’s Irish heritage. Visitors to O’Neill on St. Patrick’s Day will be treated to some strange traditions, like a Green Eggs and Ham Children’s Literature Festival, a Shamrock Fun Run, free popcorn, and the crowning of the St. Patrick’s Day King and Queen. You might even say the residents of O’Neill take the festivities a bit too far — on the 17th of every month, everyone wears green in honor of the town’s Irish heritage. Instead of starting St. Patrick’s Day with a pint of the black stuff, try jumping straight into the icy cold waters of the Atlantic Ocean. That’s exactly what many residents do every year in Portland, Maine. 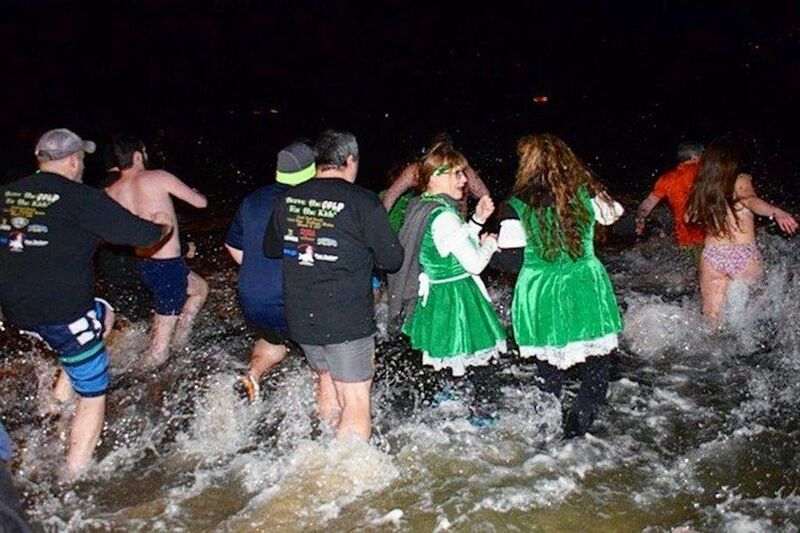 The Paddy’s Day Plunge is a 17-year-old Portland tradition, in which people gather on the East End beach at 5:30 AM for a good old-fashioned Viking shower. After the plunge, the Rí Rá restaurant opens its doors for a complimentary Irish breakfast, live auction, and raffle. The whole thing might sound a little crazy, but it’s for a good cause. The event has raised over $350,000 to date for the Portland Firefighters Children’s Burn Foundation, which assists with treatment expenses for burn survivors. To sign up for the plunge, or simply to donate, visit the official campaign website.